For the last two weeks, my nine year old daughter has been counting down the days until she has to take our state mandated tests. Not because she’s excited for the test, but because she dreads them. She’s in third grad, she’s a good student, there is no reason for her to worry about this test. But she does. Every week this year, I’ve pulled worksheets and practice tests out of her take home folder. And she doesn’t even go to a school that emphasizes this kind of testing the way many schools do. With this kind of focus put on preparing for these kinds of tests, it’s no wonder by the time our kids are tweens and teens it can cause serious anxiety. 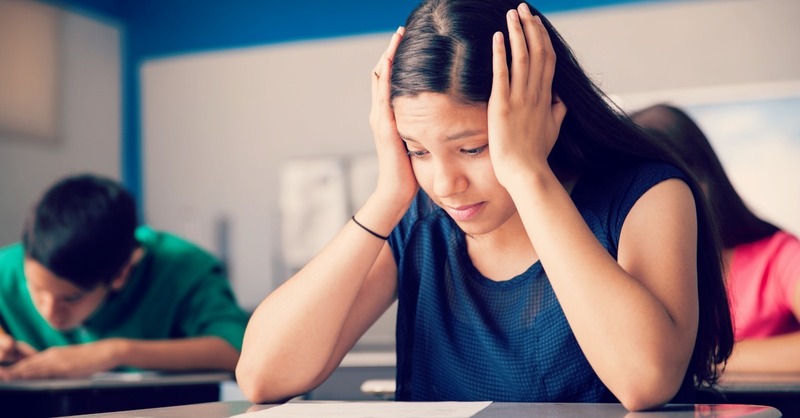 The psychological effects of too much test taking are becoming clearer as estimates suggest 20% of students suffer from severe test taking anxiety and another 18% may suffer from more moderate stress related conditions. There is so much pressure on our tweens and teens today. 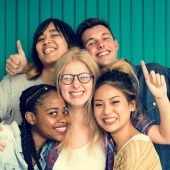 Once they reach high school, the stress is immense as they’re led to believe that their futures depend on their ability to get the best grades and the best test scores. Mid-terms and finals have a significant impact on their grade point average. College entrance and high school graduation exams play an out-sized role in the paths that will be available to them as adults. It’s not surprising our teenagers are struggling. Many factors contribute to test anxiety. Students may be afraid of failure, they may have a history of poor performance on tests, or they may have other conditions that pre-dispose them such as ADHD or other learning challenges. We can’t change the system that our kids are growing up in, as much as we wish we could. But we can help when it comes to teen test anxiety and providing the support and tools they need to manage the stress and anxiety testing creates. The suggestions below are a good place to start when it comes to teen text anxiety, but keep in mind that this can be a symptom of a larger underlying issue. If after these strategies are put in place, your tween or teen isn’t improving, it is best to seek our professional assistance. Teen mental health issues are exploding for a variety of reasons, and the sooner we get our kids help, the better. Talk to your teenagers about their coursework and testing. Give them the space they need to share their feelings and communicate their anxieties. Help them to recognize what they are feeling and to put things into perspective in the long run. Be careful not to downplay their thoughts or belittle their concerns. Help your child to develop good long-term study skills that will keep them from stressful last minute cram sessions. Create a strategy to prepare for tests and boost their confidence in their knowledge. Enlist the help of tutors when they are struggling that can help them to get a better grasp on difficult concepts and facts. For many, testing anxiety is rooted in not knowing what to expect from a particular exam or test. Find examples and sample tests to review and practice at home to give your teen more confidence on test day. The internet is full of information on SAT questions, state testing for graduation, and other typical exams that students may face. If your student struggles with a specific testing style, talk to teachers about formatting options. Students with an IEP or 504 plan may be able to have accommodations added to help set them up for testing success. 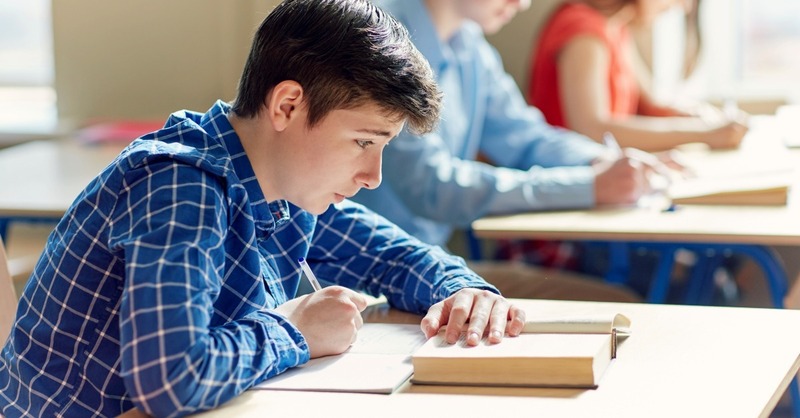 Though teachers may not have the resources to rewrite every test to every student’s personal testing style, many will be happy to offer help to ease teen test anxiety and improve your teen’s performance. One of the hardest things for adults to remember is how enormous everything feels when you’re a teenager. Without being condescending, remind them that one score is not the end of the world. Before they sit for a test, talk about the worst case scenario of what would happen if they completely bomb the exam. Usually, there are other ways to reach educational goals even when a big test goes poorly. Once they see that this one test is only a piece of the puzzle, teens will usually have an easier time taking things in stride. Finding effective ways to cope with stress can help them to deal with testing anxiety in safe and healthy ways. Positive self-talk, breathing techniques, and “fidgets” can be a help in working through a stressful situation like a big test. Everyone has different things that help them to calm down and focus on the task at hand, so it might take a little trial and error to find a coping technique that works well for them. Every child has a different reaction to testing and for those who have teen test anxiety, the middle school and high school years can be especially difficult. Work with your child and their teachers to find ways to reduce their anxiety and improve their performance. As with any educational success, overcoming testing anxiety is a group effort that requires work both at home and school.